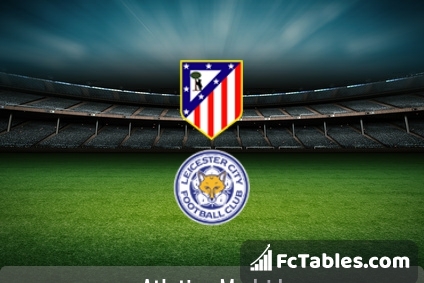 Match Atletico Madrid-Leicester City Champions League the fixture is set to kick-off today 18:45 on Estadio Vicente Calderon. Refereee Jonas Eriksson. 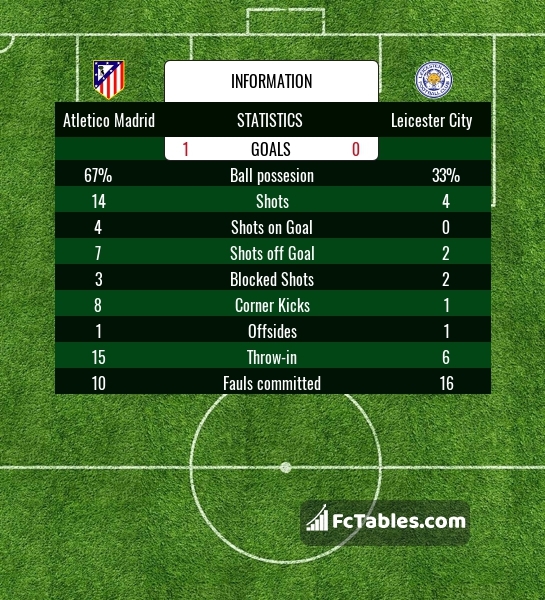 Atletico Madrid takes place, which promoted to the European cups. In 5 last matches (league + cup) team gain 0 points. from 2 matches team have not been defeated. The most goals in Champions League for Atletico Madrid scored: Antoine Griezmann 4 goals, Kevin Gameiro 2 goals, Yannick Ferreira-Carrasco 2 goals. Players with the most assists: Antoine Griezmann 2 assists, Kevin Gameiro 1 assists, Yannick Ferreira-Carrasco 1 assists. 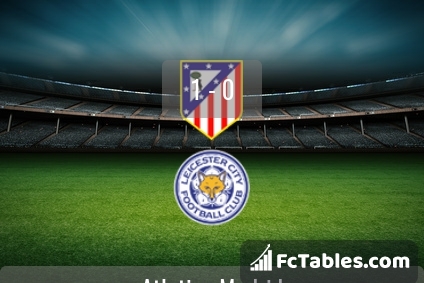 In Atletico Madrid not occur in the match due to injury: Miguel Angel Moya, Tiago, Augusto Fernandez, Sime Vrsaljko. Leicester City takes place, which promoted to the European cups. Last 5 games (league + cup) finished balance 0 points. Leicester City from 3 matches away can not beat any rival. Players Leicester City in Champions League with the highest number of goals: Riyad Mahrez 4 goals, Marc Albrighton 2 goals, Islam Slimani 1 goals. Most assists in the club have: Riyad Mahrez 2 assists, Islam Slimani 1 assists. Injuries in the team Leicester City: Wes Morgan, Molla Wague, Nampalys Mendy.